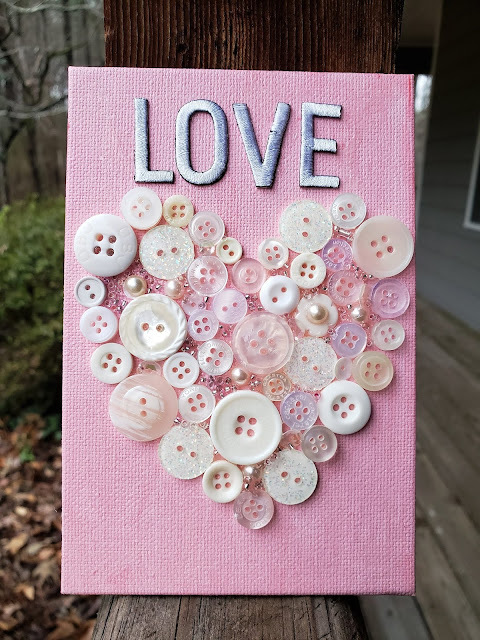 Show the world a little love with this button art featuring Joy® embroidered letters! 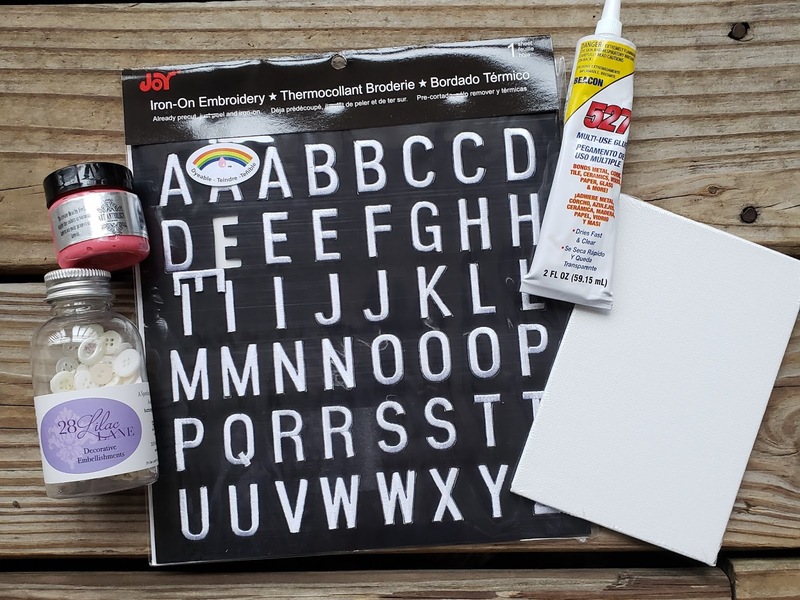 This little canvas takes just a few supplies and a few minutes, but it makes such a big statement! The 3D effect of the buttons and embroidered letters give it texture that just begs to be touched. And while this piece is a fun touch for your home for Valentine's Day, it can totally be a home décor piece for all year round! 1. 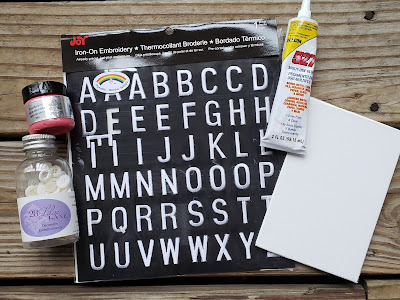 Paint canvas using paint brush and let dry. 2. Once paint is dry, use a pencil to draw a heart shape onto the canvas. 3. Apply adhesive to the back of each button as you follow the outline of heart shape, then fill in the middle with buttons. 4. 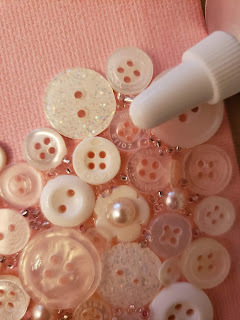 Fill the blank spaces between the buttons with adhesive then sprinkle with "fillers" (seed beads, sequins, pearls, etc). 5. 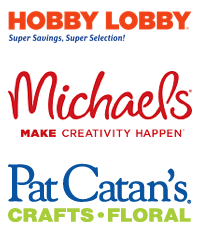 Apply adhesive to the backs of the Joy® embroidered letters then adhere at the top of the canvas.